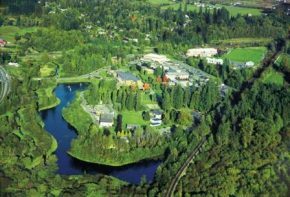 It is clear that the debate over Trinity Western University’s proposal for a law school is no longer a debate over homosexuality and religious freedom, but a debate over intellectual competency. The ironic part about this whole debate is that opponents of a TWU law school end up appearing much more narrow-sighted in their dogmatic beliefs than TWU’s religious beliefs ever did. The opponents of TWU argue that a law school should not be “hindered” by religious beliefs that are, in their estimation, merely dogmatic beliefs that cannot be supported on neutral, or as Dutton said, empirical grounds. My question, and the question that many have asked, “is where is the neutral or empirical ground that everyone keeps referring to?” I haven’t found it, and I don’t believe the people who claim to stand on such ground have either. Identifying our pre-determined lens is half the battle in pursuing free inquiry and free thought. To not even acknowledge that you have a pre-determined lens – whether it is biblical or not – is to be an unwitting slave to that worldview, and an unwitting slave is certainly not the model for free inquiry and intellectual competency.